There are so many hidden gems of history around Starcross; enough for a walking tour or 3. To organise The Starcross History Trail, we first of all need a list of the interesting places and buildings in and around Starcross. If the owners of the buildings consent to being part of our trail, then we can gather information, photographs and documents for each location, with permission for publication in a booklet titled The Starcross History Trail. The amount of text&images for each entry could be limited to, say, a single sheet of A4. The booklets will go on sale, and there will be an online version here; for those of you who prefer using your mobile phone to find your way around. Guided walks could be arranged - Starcross History could host people from other local history groups. Another aspect of The Starcross History Trail will be a Dartmoor letterbox-type container at some of the locations. We will request property owners to provide a rubber stamp depicting their building. They could make it freely available by placing it somewhere easily accessible, or make it available at times convenient to themselves. Also, a logbook for enthusiasts to sign/ stamp with their personal stamp would be excellent. Here's a few ideas we could work on. Some of the buildings have been demolished. Please comment below to add more ideas. Well St - where were the wells? 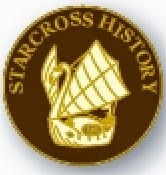 Stories about Starcross history are everywhere. 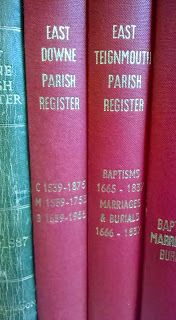 They need writing down or recording, and then we'd be delighted to be allowed to publish them on here. Stories are great fun. They are often backed up with documents and/or photographs. Sometimes, they aren't completely factual; but they can often set the record straight. A personal narrative brings history to life. So that you can appreciate what can be achieved, please listen to the 4 anecdotes about quarries in Devon HERE. 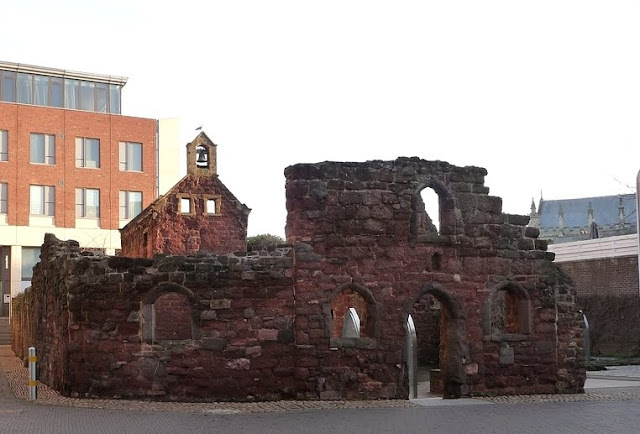 what remains of St Catherine's almshouses, in Exeter. 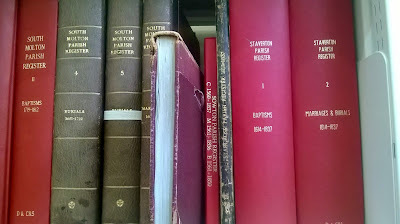 There was a Red Sandstone quarry nearer to Starcross than Heavitree; at Exminster. 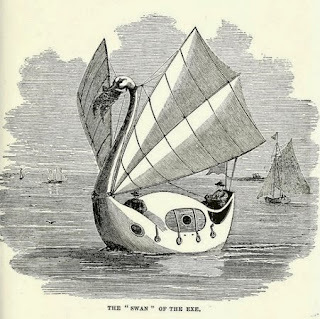 (the tender to The Swan of the Exe) wanted to launch her, men would push her through Starcross with her head and neck lying inside the boat, because the railway arches over the slipways weren't high enough to allow her through into the river. 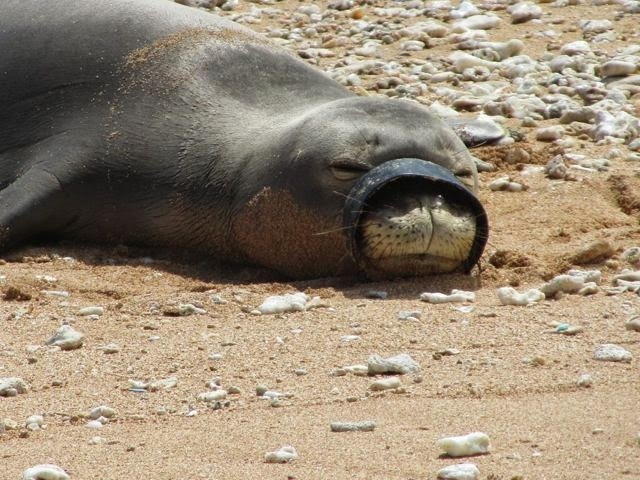 You can see the story is true, because in this photo, there's a line clearly visible just above the rope on the bow. This line must be the point where the head and neck were detached. 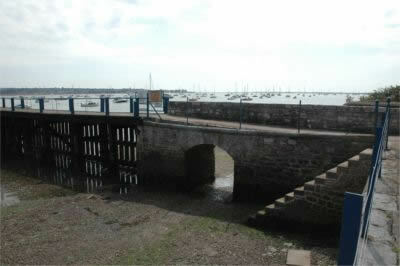 When you go to that link, there's a picture of "the old "Stair" crossing to Exmouth which gave its name to Starcross". Do you dispute anything written on this weblog? 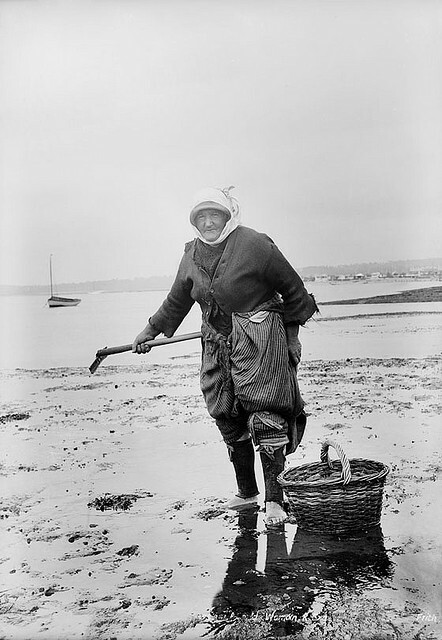 Or do you have any new stories to share about old Starcross? We would love to hear from you. Eileen Dolling, Chulmleigh Town Crier, will welcome delegates to the Summer Meeting of the Devon History Society on Saturday 6th June in Chulmleigh Pavilion. Chulmleigh Local History Society are thrilled to be hosting this event in the Town – described by W.G. Hoskins as “an ancient Market Town” with the original Charter granted in 1253 by Henry III. This is an exciting opportunity to hear three lectures by local speakers, explore exhibitions of local villages in the Town Hall, and walk a Town Trail led by members of the Local History Society. Notable buildings open to visit are the Old Court House and the town churches, with presentations in St Mary’s during the afternoon. 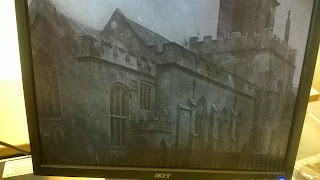 You may purchase tickets to attend the morning lectures and Town Trail from www.devonhistorysociety.org.uk or telephone 01647-433402 no later than 26th May. Tickets include lunch and refreshments with payment made direct to Devon History Society. The Town Hall will be open to all, and as well as village exhibitions, the History Society library and archive will be open for browsing, and in addition local artists will have the opportunity to display their work. Profits from this part of the day will be divided between North Devon Hospice and North Devon Children’s Hospice. Further information from Elizabeth Andrew on 01769-580363 or email andeduc@googlemail.com. It promises to be a fantastic day! All ages are catered for. PLEASE COME AND ENJOY! This photo from the Powderham archives is on the Policing Past Community Present Facebook page.
" 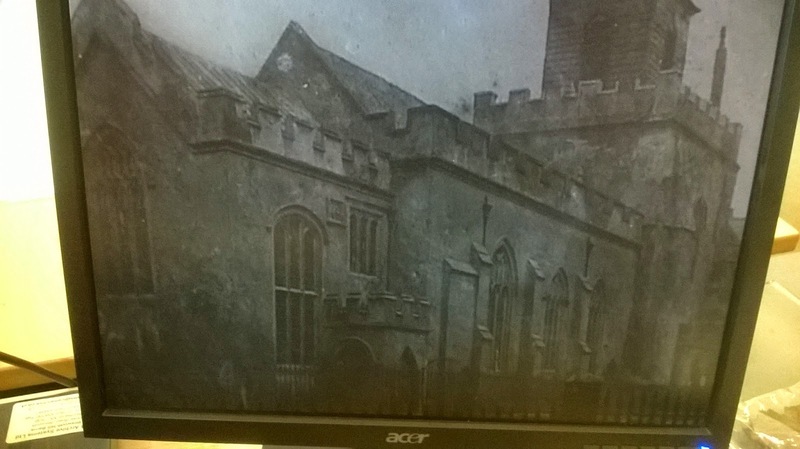 This photograph, probably dating from the 1860s, showing Starcross Police House (far right of image). Provided by the Earl of Devon, the area in front of the cottage (now a park/car park on the sea front at Starcross) is/was known as 'Policeman's Field'. 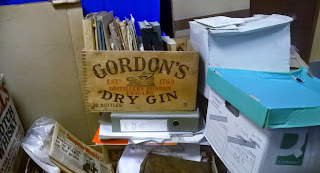 This was used by the inhabitant of the Police House as an allotment and grazing pitch. FREE membership AND No admission charge to the bi-monthly meetings in this pavilion. Ø We are recreating Captain George Peacock’s The Swan of the Exe for Trail RecycledArt in the Landscape.Our ‘wackin burd’ will be installed on Teignmouth seafront during the week July 11th - July 18th. After the summer season, she’ll go On Tour. 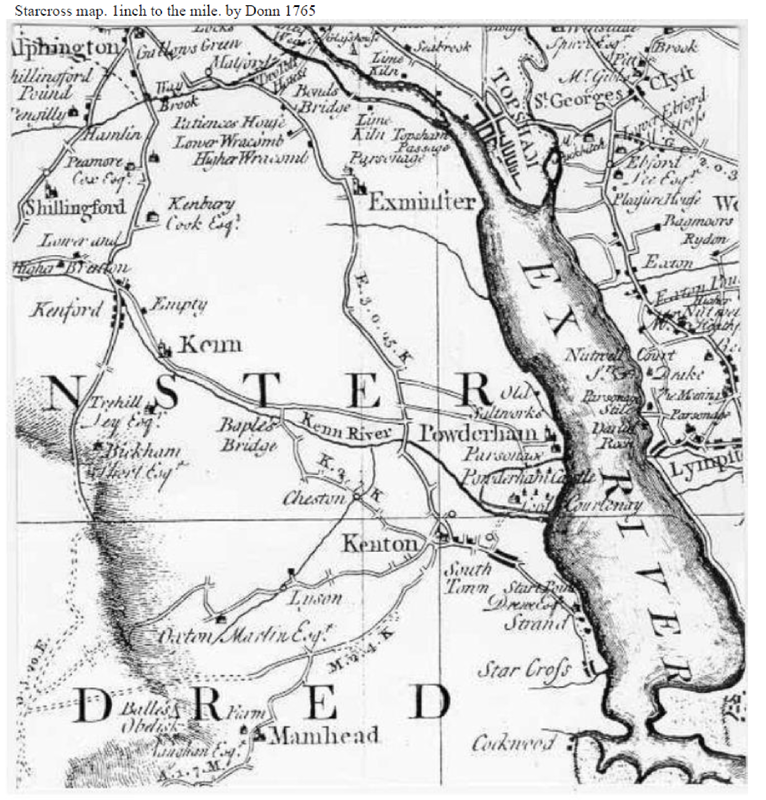 Ø How did Starcross look in the past? 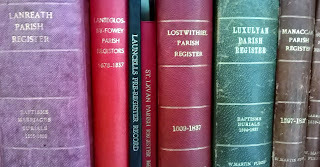 Information please, about buildings, wells, and roads etc; to help us with a series of illustrated, historic maps. 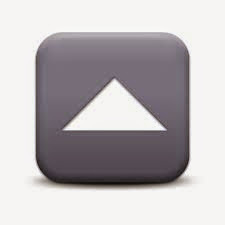 Ø A Twelfth Century stone cross stood at the top of a flight of stone stairs; and gave Stairs Cross its name. Does it still lie in the estuary silt, where it was thrown by order of Henry V111? Was it made from Portland Stone, Buckfastleigh Limestone, Dartmoor Granite, or Red Sandstone from the Heavitree breccias? Can it be recreated? Ø Should there be a memorial to commemorate the achievements of Captain George Peacock? Did he invent the screw propeller? Ø Oral History. Do you have stories to tell? We will record them; on paper, or on audio tape, or on video; whichever you prefer. Visit to Dingles Heritage Fairground Museum on a Saturday in September. Coach fare £8 for adults and £4 for children. Babies and toddlers must have their own baby/child seat. We have arranged a 15% reduction for the entry fee to the museum. Thankyou everyone who came to the May meeting. Janet Cutler gave a wickedly humorous illustrated talk on Brunel in the West Country. The slides she showed demonstrated the great determination she had to get some of the wonderful shots. The one of the SS Great Britain's last time afloat - as she lumbered up the Avon into Bristol, showed how decrepit the old boat was, after her sojourn in The Falklands as a warehouse and then being scuttled and left to rot. The cartoon on THIS LINK gives an idea of the frenzied crowds as they jostled for a position to see the fragile wreck go under the suspension bridge 127 years after she left Bristol. Janet Cutler stayed put, and got the shot she wanted, which showed the ravages of an 8,000 mile journey on an already dangerously deteriorated hulk. 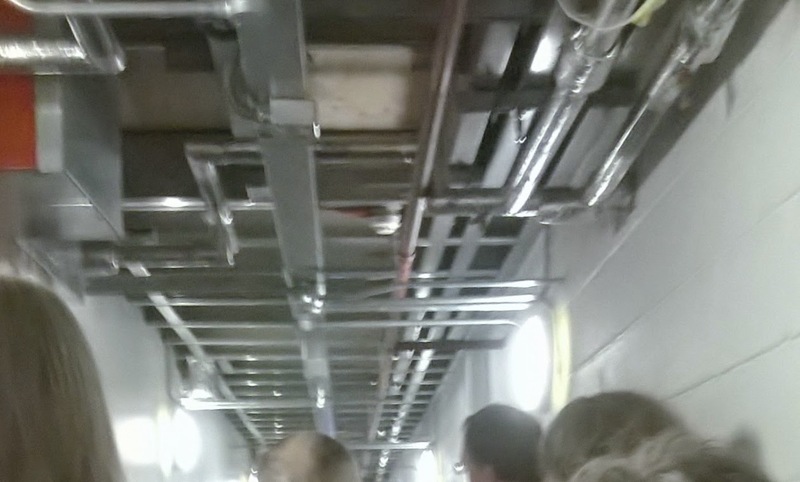 Many shots focussed on the beauty of Brunel's structures - he was an architect of some skill, as well as an engineer. Brunel's famous suspension bridge wasn't actually built by Brunel. It was built after he died, as a memorial to the great man. Luci Coles explained the passions, for both sculpture and the environment, behind Trail Recycled Art in the Landscape. Starcross History will recreate Captain George Peacock's The Swan of the Exe for this year's sculpture trail in Teignmouth. Luci talked about the involvement of schools and community groups, and businesses in the project. She spoke of the ability which art has to get a message across to everyone... but not everyone will go into an art gallery, so TrailArt has a universal impact. 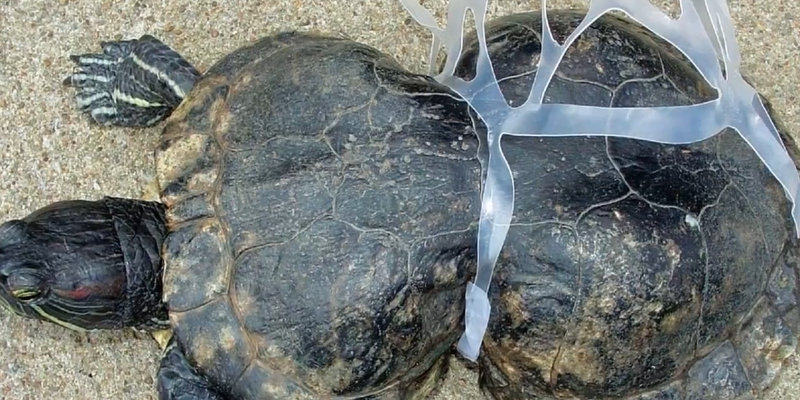 The message is about pollution, especially plastic pollution. The Waitrose sculpture will use materials that are not currently recycled, such as polystyrene. Got something that will keep? 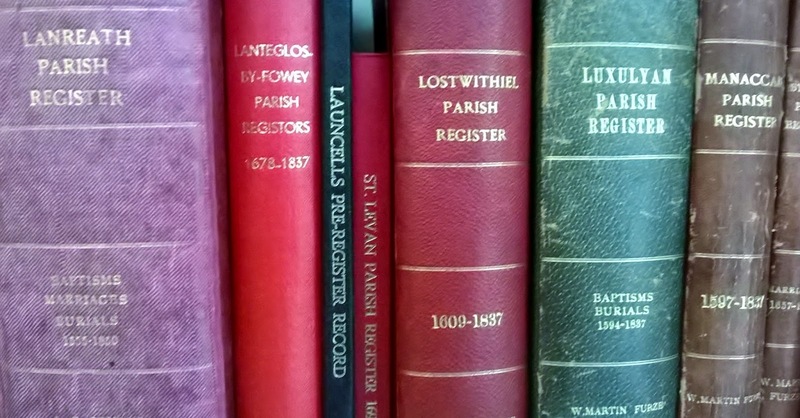 Do you have a Devon-related precious piece of paper, or book or photograph, or lots of them? Maybe they are yours, or you've inherited them, or found them in a house clearance, or bought them in a sale? The Devon Heritage Centre will be delighted if you would lend or donate them to their comprehensive archive. 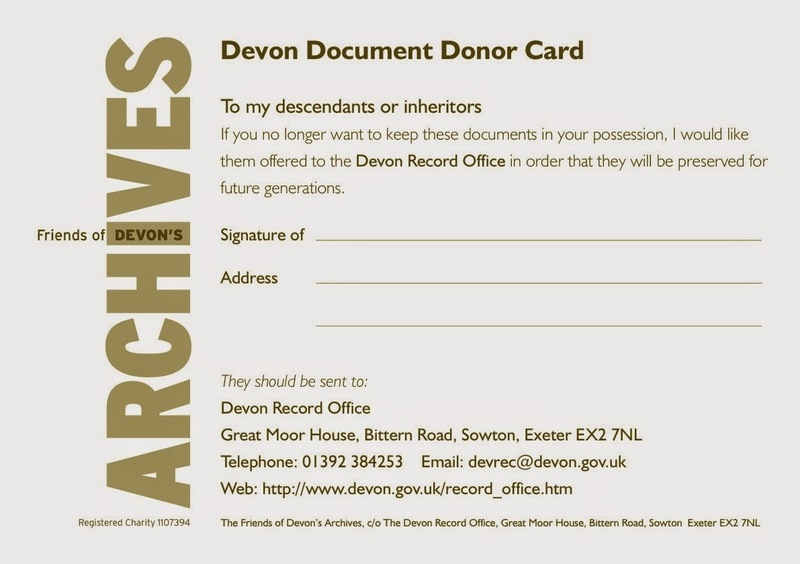 If you'd rather keep your memories by your side, but worry about what might happen to these treasures after you die, you could file a Devon Document Donor Card with them... well, it can feel like you are donating a part of yourself, so 'Donor Card' is very appropriate. 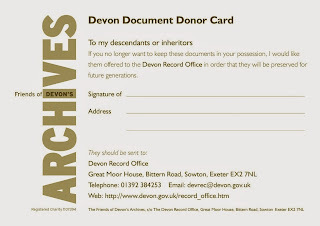 A Friends of Devon Archives' Document Donor Card will ensure that they are preserved. HERE'S a link to download a copy of the Document Donor Card. 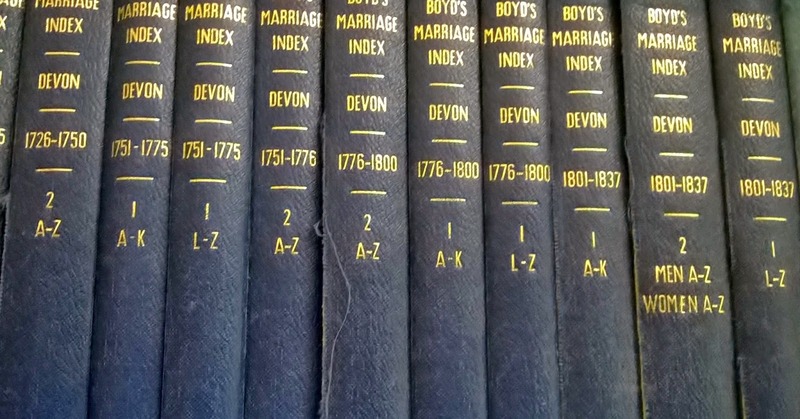 "The Devon Document Donor Card is intended to save original papers relating to Devon such as diaries, letters, recipe books, manuscript maps, accounts, surveys, school records, deeds and leases. We are also interested in old photographs and unusual or rare printed papers... Staff at the.. Devon record offices will be able to advise whether particular material is of interest." Please note that some information on this link is out-of-date. 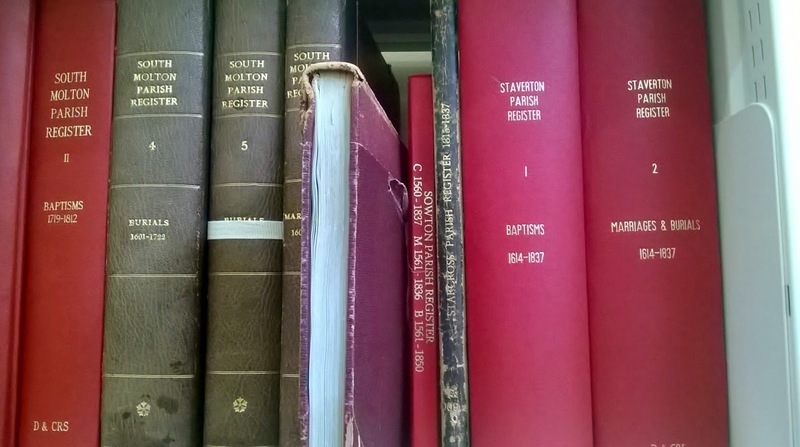 - The Westcountry Studies Library has relocated to the Devon Heritage Centre. used to belong to British Telecom - obviously! 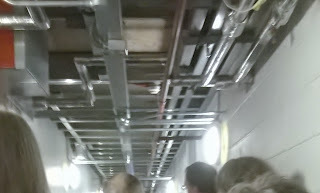 Long corridors at the Devon Heritage Centre still have miles of wires from the days of British Telecom. 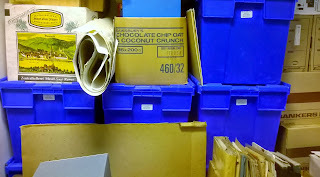 A small, dedicated staff of around 20, together with a handful of volunteers, work constantly to keep up with the influx of material to the Devon Heritage Centre. New arrivals come in all sorts of containers. These documents are lucky. They will no longer deteriorate; forgotten and neglected. 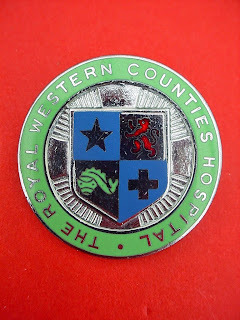 They will be given an initial catalogue number, examined with great care, and the deterioration process will be halted. 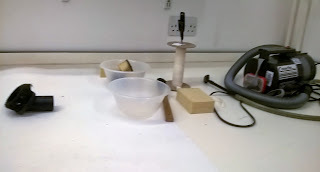 If they are damp, they will be put into the document drying rooms and left to gently lose their excess moisture. When they are dried, they will be cleaned with care and affection... everyone at the Devon Heritage Centre is passionate about the documents that are entrusted to them. In the cavernous map room, experts take what are sometimes crumpled, torn and motheaten maps, and restore them. 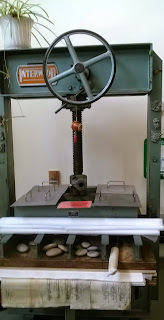 Here's an old machine which still does an excellent job. 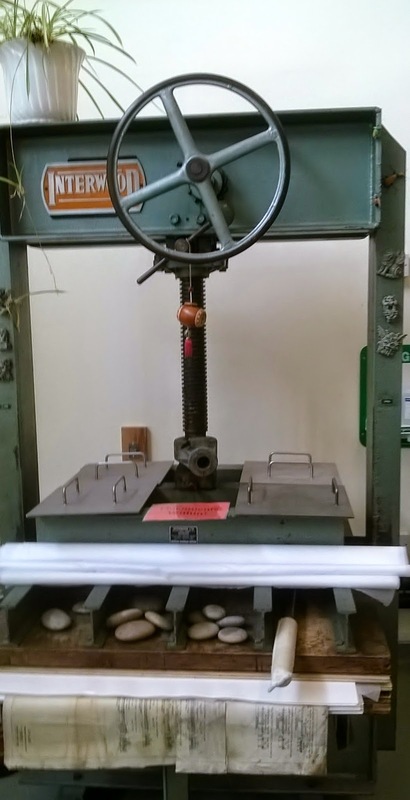 It can iron the maps and documents to enable state-of-the-art technology to finish the restoration. 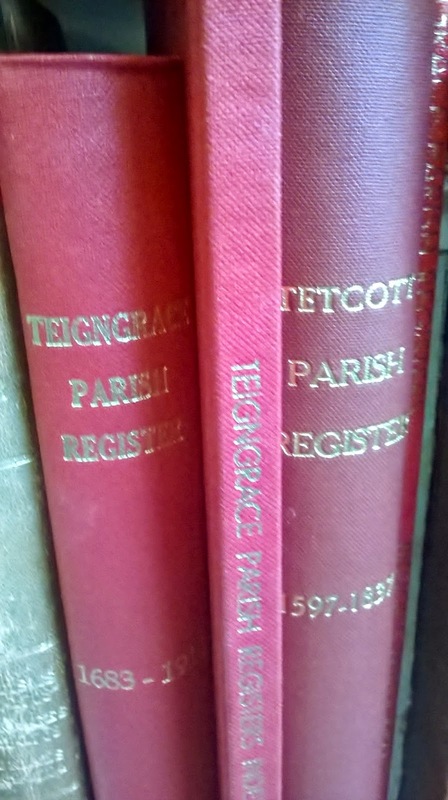 Teigngrace Parish Register 1689 - 19..
Whatever documents/photographs/maps/books you have, be assured that giving or loaning them to the Devon Heritage Centre will ensure their preservation. 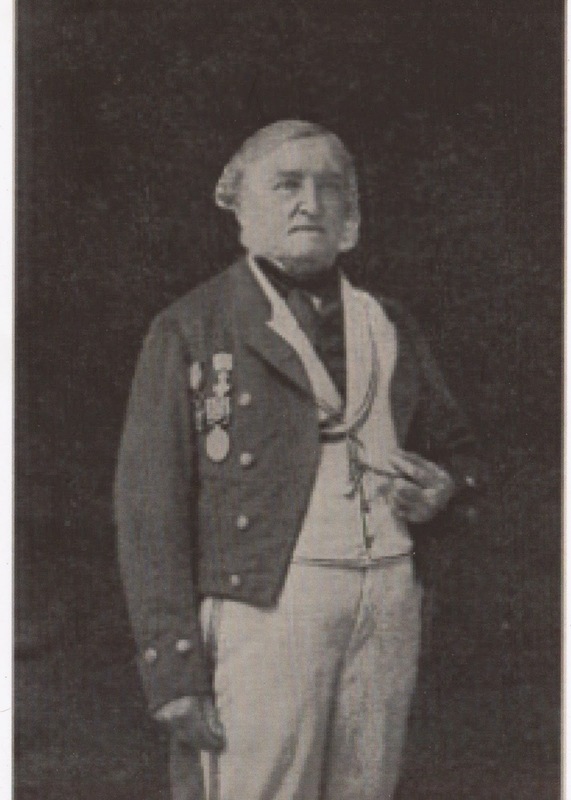 This is the only known picture of Captain George Peacock; inventor and mariner; who lived at Regents House on The Strand in Starcross. One of the medals he wears is a decoration from the President of the Republic of Columbia, for his skilled services surveying for the Panama Canal, and another is for his being a Chevalier of the Royal Order of the Saviour following his work surveying for the Corinth Canal. This is from Donn's 1765 map of Devonshire. Scale: 1 inch to a mile. So we're on board for 2015. The Swan of the Exe will rise again to Protest Pollution of the Planet. 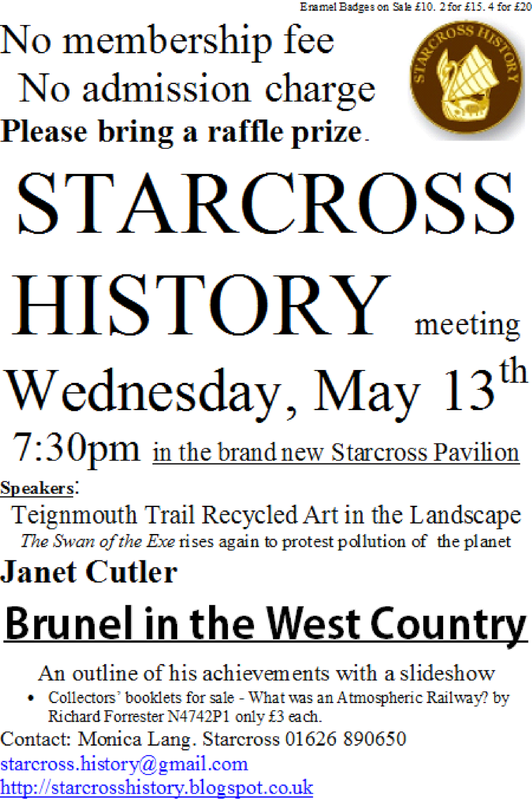 Luci, from TrailArt, is coming to our meeting on Wednesday May 13th at 7:30pm in Starcross Pavilion. 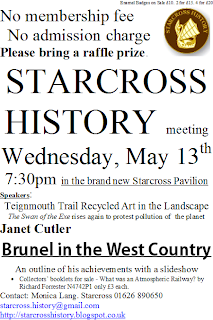 Luci will give a short presentation before the main one from Janet Cutler on Brunel in the West Country. 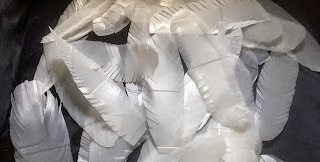 Many feathers were cut out this weekend at the St Paul's Church Celebration of Country Life. Thankyou everyone. More milk bottles have been promised. The proposal is that The Swan of the Exe is re-created, using an old dinghy, and wire-netting, covered with white plastic feathers, made from plastic milk bottles. There will be a trail of flotsam and jetsam behind The Swan of the Exe. 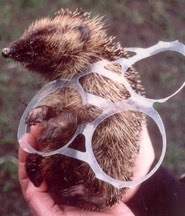 Graphic photographs of entangled creatures will be attached to relevant pieces of rubbish. 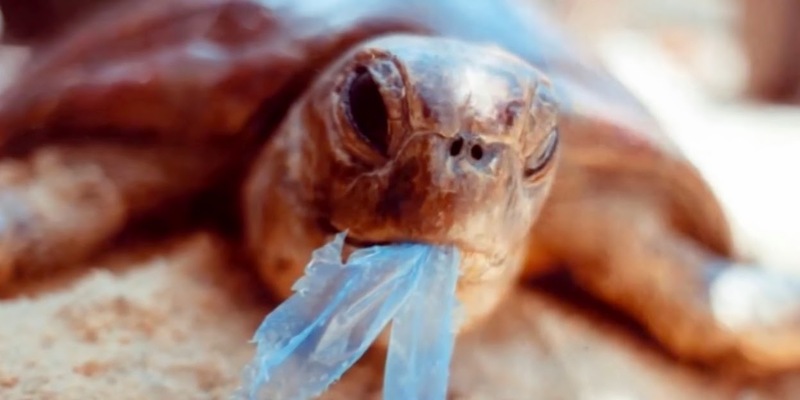 This is to bring attention to the monstrous rafts of rubbish in our oceans: There are millions of pieces of plastic within the 5 subtropical gyres, but recent research by the National Centre for Ecological Analysis and Synthesis has demonstrated that the amount of visible plastic within the vast, visible rafts is far from representative of the enormous quantities that have entered the oceans since plastic was invented at the start of the 20th century. In fact, 8 billion tons must have entered the oceans, but only a quarter of a billion tons are visible. What has happened to the rest? Is it lying in the deep ocean? Has it been broken into micropieces? What will be the terrible consequences? We haven't sourced the right wrecked dinghy yet, so if anyone can help with this, please get in touch. The dinghy needs to be a wreck, otherwise it might be a temptation for someone to steal it. The broken dinghy also needs to be very small - around 8 foot, so that it can fit into the back of a Discovery. Meanwhile, we need feathers. Please. Or just milk bottles so that we can make them. will provide any extra materials we might need. 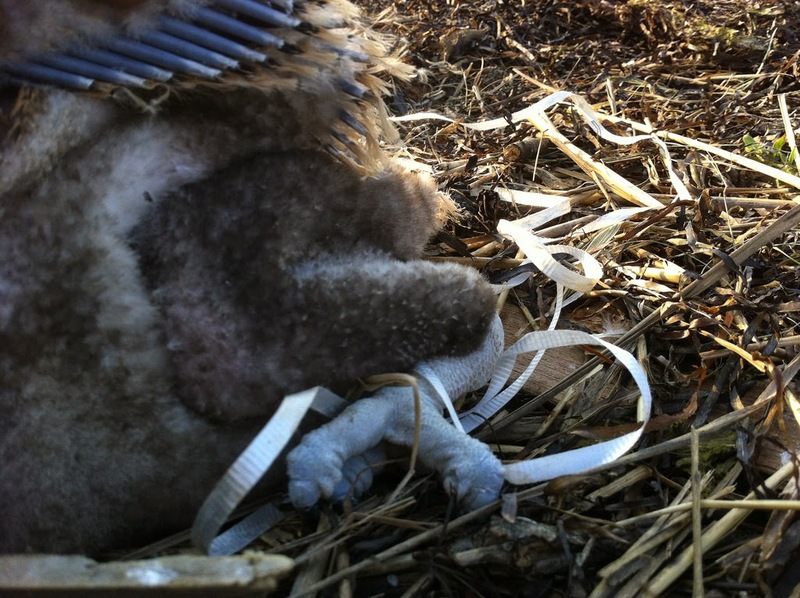 Donations needed of: white paint, nails, wire and some long wooden poles/staves for the wings. FREE archives workshop. May 11th. Devon Heritage Centre, Bittern Rd, Exeter, EX2 7NL. As part of the From the Grassroots project, the Devon Heritage Centre will be running a free workshop in archival research. This event will be of interest to people considering a career in the archives sector, as well as those who just enjoy researching local/political history. 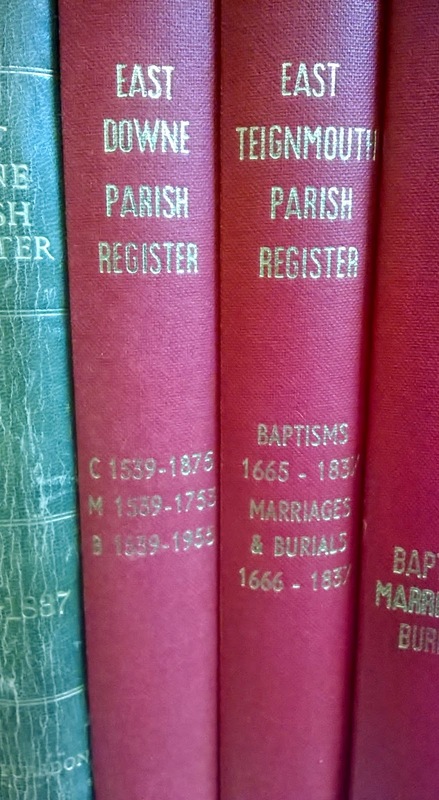 In this workshop you will learn more about the cataloguing processes that archives use, including CALM for Archives, which is a Windows-based collection management system for archives. With a focus upon political archives, professional archivists will demonstrate how to make the most effective use of archives, enabling you to maximise the efficiency of future visits to both record offices and online resources. During the workshop you will also have the opportunity to take a tour of the Devon Heritage Centre. 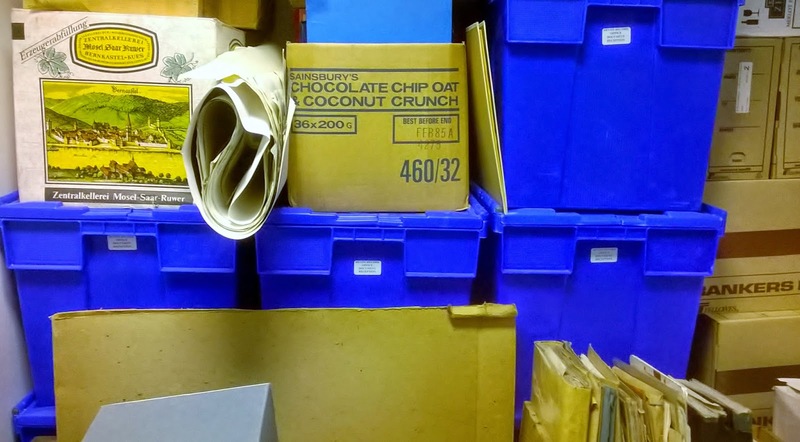 This is a rare opportunity to have a behind-the-scenes view of how a professional archive is managed in the areas that are not accessible to the general public. The Devon History Society and the Devon Gardens Trust have jointly organised a visit to Shobrooke Park next Tuesday. It costs £5 per person, and includes a talk by one of the landscape conservationists, and a guided tour of the grounds. Bookings have to be made by today. 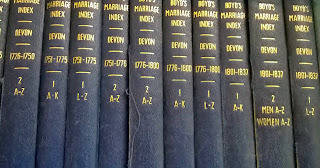 HERE'S a link to the Devon History Society's booking form. as the garden for his new house and to complement the Park. The house was destroyed by fire in 1945. The garden was neglected until 1968 when John and Dorothy Shelley (Jack’s parents) moved back to Devon and started the clearance work. In 1981 Dorothy Shelley built the modern bungalow and continued to reclaim the garden. Jack and Clare Shelley moved into the bungalow in 1992 and set about replanting the garden. John Phibbs of Debois Landscape Group did a historical survey of the park and garden in 1994, and Simon Bonvoisin of Nicholas of Nicholas Pearson Partnership produced a new Parkland Plan in 2012 and the restoration work has been based on their recommendations. We are delighted that Simon Bonvoisin has agreed to talk and lead a walk of the landscape for this event. Until 1939 the garden was looked after by a team of six men and a boy, using a garden pony and hand tools. All the restoration work has been a compromise between recreating the original garden and creating a garden that can be maintained with modern machinery. 11.30 ~ Guided walk to the Folly and ponds. 1.00 ~ Lunch – please bring a picnic lunch. Tea/coffee will be provided. Please reserve____ places for the DGT-DHS visit to Shobrooke Park @ £5 each. 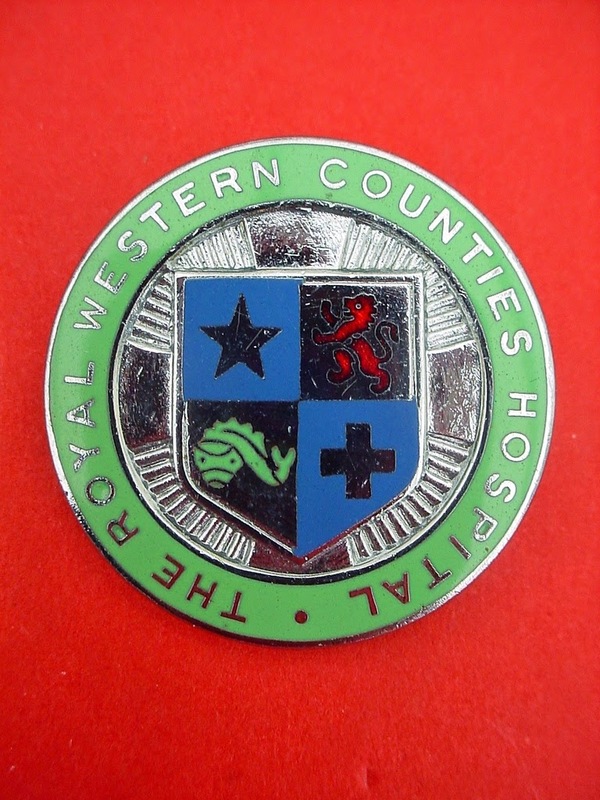 Trust, Exeter Community Centre, St Davids Hill, Exeter, EX4 3RG.